Unfortunately for most players, this tank will be somewhat difficult to play with, particularly if you're less experienced with Tank Destroyers. 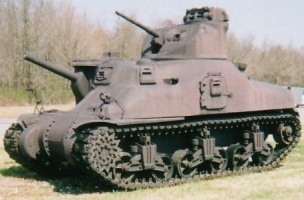 The M3 Lee's gun is not mounted on a turret and as such, it plays similarly to a tank destroyer. However, it is not an effective sniper because its guns are implemented with mediocre accuracy, and its large size requires good camouflage to remain hidden when firing, which, from a single bush, will probably not be available. Additionally, the top turret (historically for a 37mm gun) sticks out of short cover and is usually fired on. 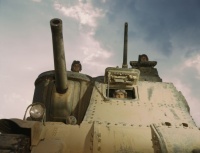 Its frontal armor can also be penetrated easily, thereby putting the driver in constant danger of injury and greatly hindering survivability in a fair fight. Also, Jingles hates it. The Lee is widely considered to be weak for a tier IV medium; it's hard to use and requires more time to get used to, due to being very unusual for its class. 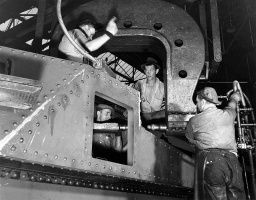 Its most defining feature is the placement of its main gun, in a sponson on the right side of its hull. 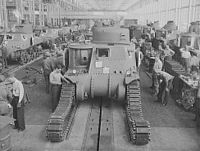 This sponson gives the tank a very unusual firing arc that favors its right side but prevents the vehicle from circling opponents. 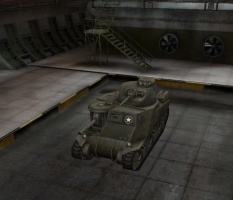 One good feature is the gun's damage, but it comes with an underwhelming stock cannon, especially for a medium tank. 90 millimeters of penetration looks good on paper (it would seem sufficient to penetrate a KV-1), but against anything but flat-facing armor it will seldom penetrate more robust tanks of its tier or above. Expect to bounce off Matildas at mid to long range. The upgraded gun has an improved rate of fire, better accuracy (but still fairly bad), and decent damage, but remains severely neglected in penetration and shell velocity. However, it can quickly decimate lower tier tanks should the Lee be able to hit its targets. 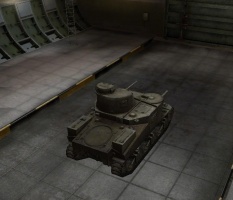 A single shell does 110 damage, which is often sufficient to two-shot most tier 3 tanks and three-shot most tier 4 tanks, destroying them in seconds. Although the guns have some merits, their faults will often outweigh the pros for many players. A Lee in a hidden position or flanking can cause decent amounts of damage within a fairly short period of time, since the high rate of fire of 20rpm gives it 2200 DPM. 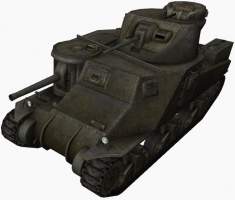 This is the highest DPM of any tank in tier I-V, and can even rival a fully upgraded Ferdinand. However, though the DPM is high it can't be fully relied on, as you have to hit and penetrate your target to have reliable DPM; with mediocre accuracy and limited penetration, the Lee must get very close to even come close to reaching this impressive number. 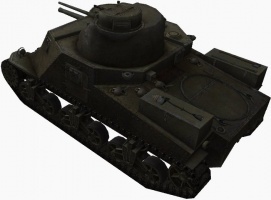 Consider shooting enemy tracks to assist allies, as either gun can easily destroy same-tier or higher tracks in as few as two shots, in a mere four seconds. 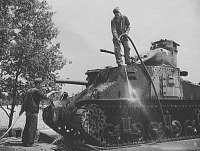 As noted, the Lee's main gun is mounted on a sponson on the right side of the tank. If you stay on the left side of a corner, it is possible to hide almost all of your front profile from the opponent except for its gun, a horizontal equivalent to a hull-down position. Conversely, the right-mounted sponson means that making a right turn will require you to show your full frontal profile before being able to bring your gun to bear. Avoid them if at all possible. A useful rule of thumb is to always hide on the right side of a building, so as to conceal most of your relatively poorly-armored front. Try to find a different spot with cover, where you can park your tank with only the gun itself poking out from behind the wall, rock, etc. This will hide the turret in particular, but expect more accurate players to damage the sponson. 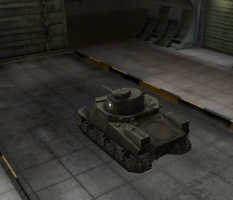 As a result, this tank should be played like a tank destroyer. 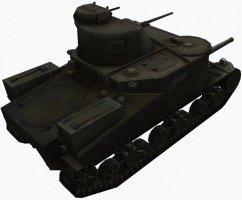 The T40 shares many characteristics with the M3 Lee (including engine power, top speed, hull armor, and signal range), whilst the M3 Lee has better HP and traverse speeds. 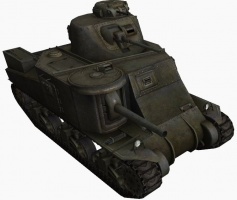 However, the T40 has better camo values and ultimately a more accurate, harder-hitting gun. 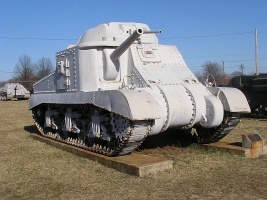 As a result of its nonfunctioning turret and overall size, however, its camouflage values are very low and achieving stealth is a difficult proposition. 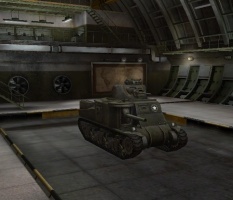 Thanks to its flaws, the M3 Lee is considered cannon fodder by many players. 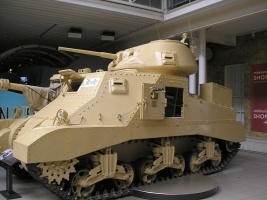 Most tankers put a priority on "easy kills", and the M3 Lee is often on that list. 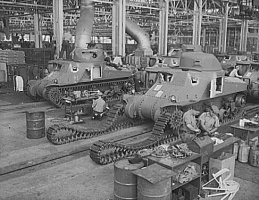 Even tier 3 tanks will have no trouble penetrating the armor if they fire at its most obvious weak points, especially the upper turrets. Even the MS-1 is capable of penetrating the Lee under certain circumstances. Unless you plan on flanking the enemy team, try to place yourself behind your teammates where you can shoot at the enemies and avoid taking return fire. If a hostile tank is seen who might be flanking your position, move! 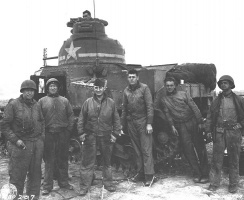 The Lee, like most casemate tank destroyers, is very vulnerable to being flanked and destroyed by faster units. Make no mistake, the Lee is a difficult tank to play well, having placed all its focus into a ferocious DPM in exchange for almost everything else. Its inflexibility means that most players will find themselves struggling to make use of what advantages it has while fighting the various shortcomings of this low-tier underdog. However, even this under-performer still has teeth, and any player who writes it off as no threat risks receiving a hail of 75mm shells in return. This page was last modified on 31 March 2019, at 18:43.